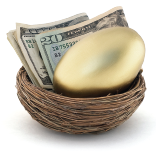 Individual Retirement Accounts (IRAs) are great vehicles for retirement planning. Not only do regular contributions help build your retirement nest-egg, they also may offset your taxable income, reducing taxes due for the year in which they were made. * But your opportunity to contribute to these plans didn’t end on New Year’s Day. You can still make contributions to your IRAs until the tax day deadline, April 15, for the 2014 tax year. The IRS sets limits on how much can be contributed in any given tax year toward traditional, Roth, and Simplified Employee Pension (SEP) IRAs. Did you know that maximizing your IRA contributions can also result in a more favorable asset determination when applying for a child’s college funding? Well yeah! To learn more about IRA management, contact Lake Michigan Investment Services for a free analysis. 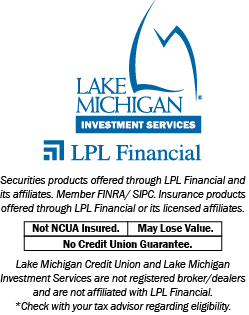 Schedule your appointment with us today by calling (616) 234-6301 or go online to LMCU.org/investments.